Hello, my name is Cinzia and I am from Italy but currently living in Ireland. I am 27 years old and 5 feet 9 inches. I arrived in Ireland in August 2015 to work as an AuPair in an Irish family living close to Carlow. When I arrived here I was 14 stone and felt overweight. I’ve always dreamt of being at a healthy and happy weight. The last time I lost weight was in 2002 when I was 14 years old! I’ve tried every type of diet, from the popular well known names to the Zone Diet, Dukan, Metabolism Diet etc. etc. but I can say that this time I was lucky. Lucky because when I met my host Mum, Emma, she had told me how she lost a massive amount of weight thanks to Why Weight Ireland and she encouraged me to give it a try. So in September, a month after arriving, I tried the 2 Day Free Trial Period that W.W.I offers to new people and after 2 days I checked my weight and I lost 1.10 pounds so I decided to subscribe for 6 months. Well, week after week, filling in my food diary, exercise by exercise with the help of W.W.I fitness plans and of course Hannah’s support, I started to lose weight. The surprising thing was that I was still eating everything that I had eaten before, especially chocolate as my favourite is a Snickers (213 calories) 🙂 Just by using my food diary consistently and doing some exercise, but nothing aggressive , just 30 minutes of walking everyday and when was not possible because weather I went to gym and complete 30 minute of exercise. For the days I could not do exercise I reduced my food intake using my diary to compensate for the lack of exercise. Like most things in life, things got hard, there were times that I felt down as I had no weight loss. I seemed to have plateaued. In those moments I got Hannah’s personal help. I messaged her by email about my worries and she always encouraged me and always suggested ideas to keep going and to continue to lose weight. Yes YOU, I’m talking to you. No one is going to say that it is impossible because it is possible, everything is possible. Look at me, I left my home in Italy, on my own and coming to a new country. Who would have thought that coming to Ireland and I would lose weight. So come on. If I can do it, you can too. Stop punishing yourself and do something positive for yourself; stop thinking “I can’t do it”, because sure you can do it, the change is possible and it is possible to do it by eating everything you had been eating before but just by controlling yourself, trusting in yourself and trusting in Hannah and Why Weight Ireland. 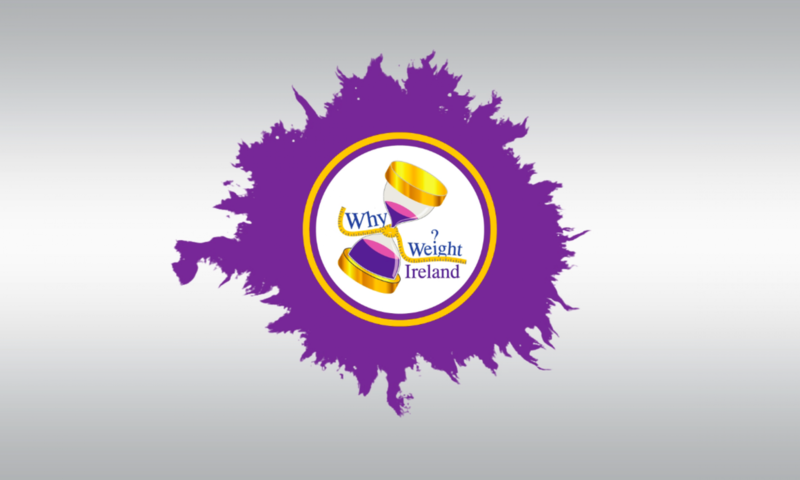 So STAND UP and enjoy WHY WEIGHT IRELAND, I promise you won’t regret it. As Hannah always told me, “IT’S NOT A DIET, IT’S A NEW WAY OF LIFE”. I would just like to add again a very special thank you to Emma for introducing me to Why Weight Ireland and encouraging me along the way.